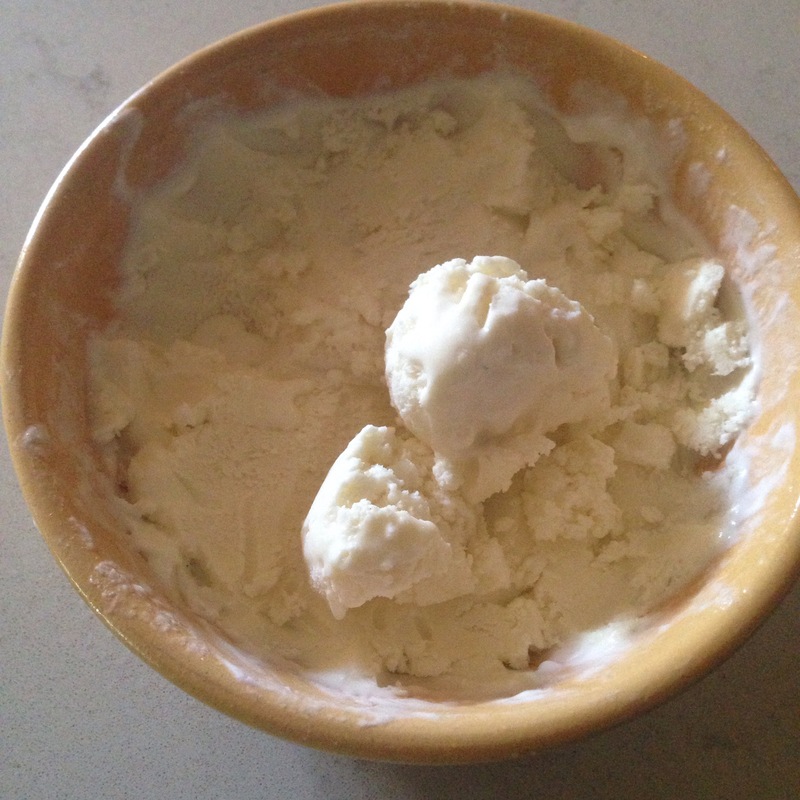 I’ve always wanted to make ice cream but this was my first attempt! And I’m pretty excited by the results! 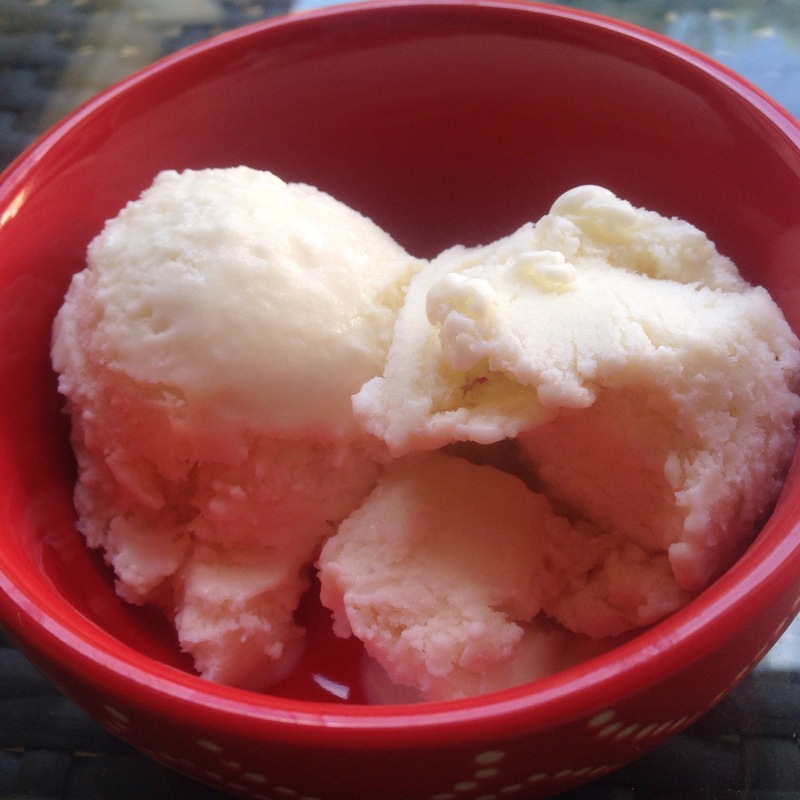 This ice cream turned out deliciously and was super fun to make! To start, I beat together the milk, eggs, sugar, and vanilla over low heat, stirring frequently until the mixture started to thicken. I let it cool, stirred in the cream, and strained out any lumps. Now for the fun part. I found two bowls: one large and one that easily fit inside the other. I filled the larger one about halfway with ice and stirred in 3/4 cup of salt (use rock salt if you have it, but I used regular kosher salt). Then, fill the smaller bowl halfway with cream mixture- for me, this used up most of it. Mix for about 10 minutes, cover, and freeze for about an hour. Your bowls should be very cold and your cream starting to freeze. 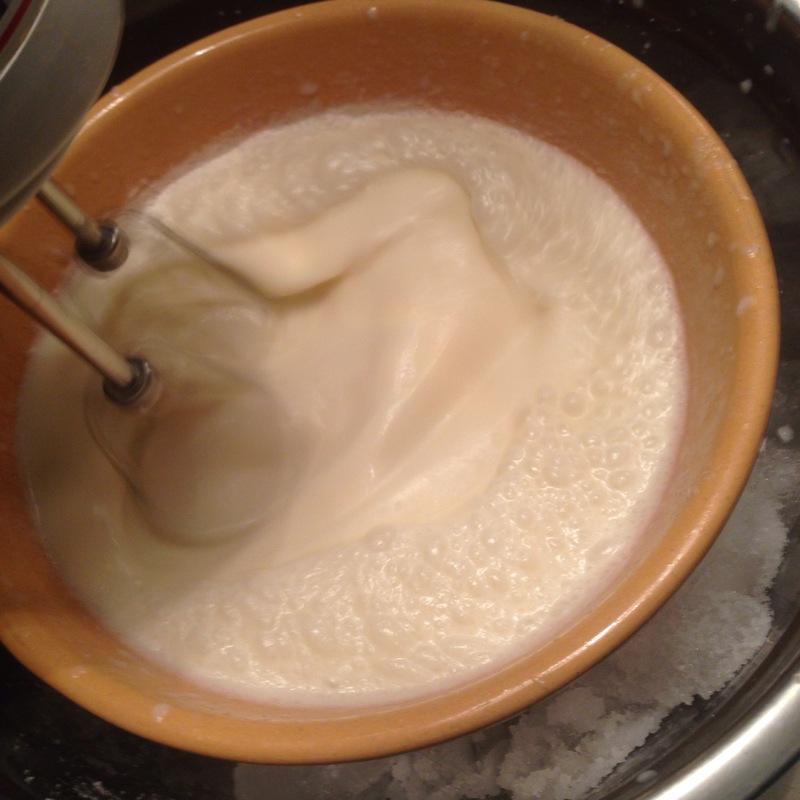 Mix the cream with an electric mixer for 5 minutes. Freeze for another 45 minutes and repeat. 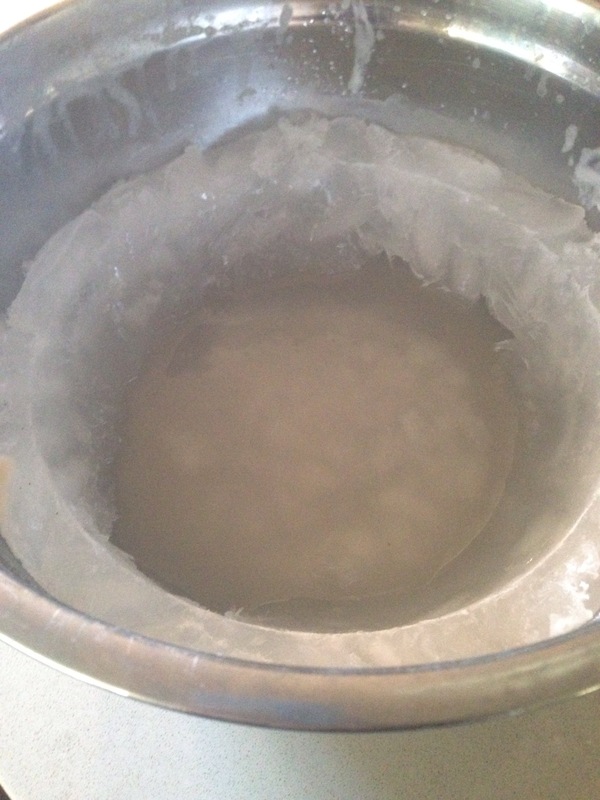 Then, freeze for a few hours or overnight. It’s also really cool to see the ice change over time- mine left a perfect ring around the bowl of super flaky and thin ice. I’m super excited to continue to play with this recipe- maybe ice cream sandwiches or flavored ice creams? I think it has a lot of potential and I’m super excited to be able to easily make my own ice cream at home! Next Next post: Day 36: Muffins! Hi Mir! I just nominated you for the Liebster Award. Your hearty comfort recipes really SOLD me. Thank you so much! This made my day!